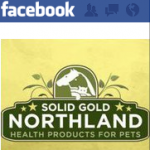 Did you know that Solid Gold Northland now has it’s own Facebook page? This is a place where you can join in conversation and find out more about holistic dog and cat foods which improve your pet’s overall health. 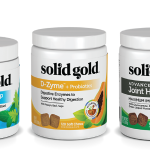 Besides being passionate about helping you get results through a holistic approach to pet care, Solid Gold Northland is also passionate about animal rescue, both in helping the animals and helping the people who help the animals. 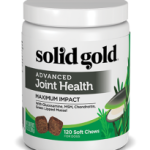 So, for each new page ‘Like’ Solid Gold Northland Health Products For Pets, Inc. gets by Friday 4/22/11 at noon, we are donating $1 worth of product to Red Lake Rosie’s Rescue. Red Lake Rosie’s Rescue is a 501(c)(3) non-profit organization located in Red Lake, MN. After a temporary stay at the shelter, all of the dogs and cats are transported to the Twin Cities for foster care and adoption. You can learn more about Red Lake Rosie’s Rescue, the work they do and hear founder Karen Good interviewed by Janet Roper on Talk2theAnimalsRadio. Lisa Sellman of Aloha Pet Care & Dog Training will deliver the donations. We will donate up to $200 so spread the word and help in the donation! ‘Like’ Solid Gold Northland’s Facebook page and YOU will be helping the animals at Red Lake Rosie’s Rescue! What’s not to ‘Like’ about this?